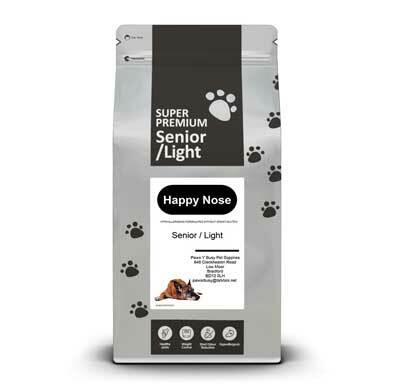 Our Happy Nose Super Premium range is a great value, hypo-allergenic complete dog food for your best friend. It is formulated without wheat and wheat gluten, making it suitable for dogs with sensitivities to these ingredients. 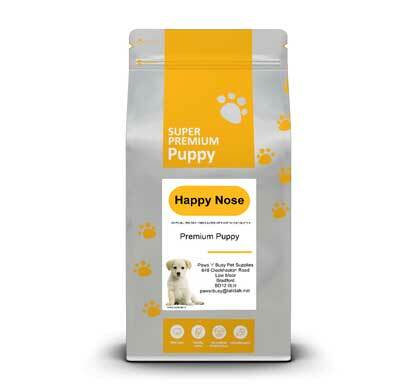 The Happy Nose Super Premium range comprises the very best nutrition for all sizes, lifestages and lifestyles of dog’s. This range can however, depending on which product you are purchasing, contain poultry fat, so if you dog is allergic to poultry please check the ingredients before you purchase. Poultry fat is added to lots of dog food to give it more taste! 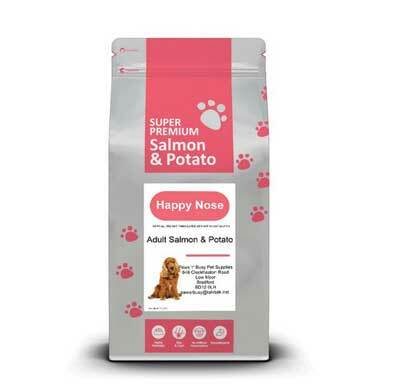 Our Super Premium ranges includes; Puppy, Adult and Senior recipes.